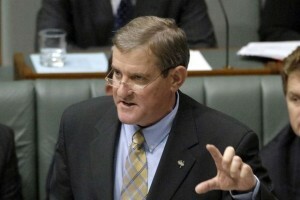 Members of the manufacturing industry are criticising Minister for Industry Hon Ian Macfarlane for shunning the Manufacturing Leaders Group at a time when the sector needs critical support. In a media release issued by the Australian Council of Trade Unions, ACTU Secretary Dave Oliver said the Manufacturing Leaders Group, which is composed of employers, unions and the Government, was meant to meet last October but was delayed due to waiting on the Minister who has yet to determine “how he wishes to proceed”. “Mr Macfarlane has shunned this group at the worst possible time,” Mr Oliver said. Mr Oliver said the Minister has not gotten back to them since the postponement of the meeting in October. “Since the Abbott Government came to power we’ve seen massive job losses, the biggest fall in employment in over a decade and Australia’s manufacturing industry has been gutted,” he said. ACTU’s statement comes in the wake of Boeing’s announcement that it will sack up to 300 workers from its Melbourne plant after it has “stabilised at full production rates”. It has been a grim week for the manufacturing sector after announcements that Philip Morris will close its Victoria manufacturing plant and BP deciding to close its Bulwer Island refinery in Brisbane.